At Cowtown Graphics & Signs, we firmly believe in reinvesting into our business doing sign installation and repair in DFW. If there is a way to make our products better, boost our customer service, or ensure that you receive better signage, then we are all for it. Case in point is our shiny new bucket truck. While most sign shops rent their equipment, we decided to buy it. We opted for a model that reaches multiple stories into the air and features dual stabilizers. Tool storage makes it possible to take the truck on the road without needing a support vehicle for hauling the “small stuff.” Doing so frees up the other truck to visit clients, install first story signage, and provide estimates. The bucket truck is excellent for a variety of reasons. We use it to repair existing pylon signs without the need for ladders. It makes the process much faster since we do not have to send technicians up and down the ladders carrying parts. The equipment also minimizes our footprint in your parking lot or service bay. When we can park one vehicle – versus two or more – and eliminate the need for ladders and other gadgetry, your customers still find ample parking. We just block off a small safety zone with cones to prevent any injuries. Other outfits rent bucket trucks when they need them. But did you know that some rental places have a waiting list? If your channel letter installation is scheduled for Friday, but there is no truck available until the coming Wednesday, you will not get your letters. 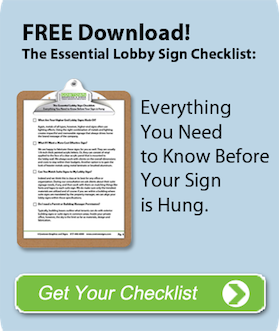 If you insist on having your sign installed as agreed, you may end up with a subcontractor. Plenty of subcontractors are excellent to work with. They frequently own their equipment and have a solid work ethic. However, they install plenty of things. Channel letters may or may not be something they deal with all the time. 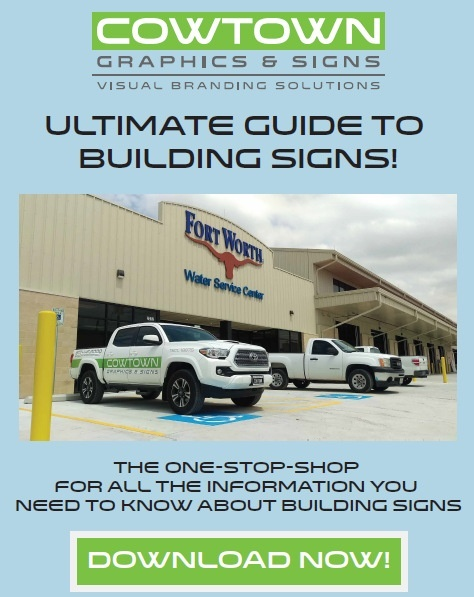 So, while you might get a great crew of people at your facility, they may not necessarily know the ins and outs of signage installation. Can they still do a good job? Maybe. But if a problem arises, they probably have to contact the sign shop. And this can create further delays. You avoid this problem by doing business with a company that has all the equipment needed to handle your job from inception to installation. Which Services do Sign Companies with Bucket Trucks in DFW Provide? Our business provides a broad range of design, manufacturing, and installation services. Of course, we also handle other jobs as well. Initial sign installations. You are expanding to a new location, and the build-outs are almost complete. The paint on the façade is dry, and you want your signage installed. We can handle anything from channel letters over lightbox cabinets to dimensional lettering. No matter how high up on the façade the sign needs to go, with the bucket truck, it is child’s play. Sign replacements. Is it time to upgrade from older foam letters to a lit channel letter sign? Our technicians gladly remove the old sign, patch up the façade, and install the new one. We also haul away the old sign elements and dispose of them for you. Sign repairs. Did a storm knock a tree branch into you lightbox cabinet? Are you moving into a new venue and need us to switch out sign fronts on the pylon? Maybe you need to undo weathering of a monument sign. We can handle all of these tasks – and more! Our licensed and insured electrical sign contractors proudly serve the business communities in and around the DFW area. Call us today to learn more!